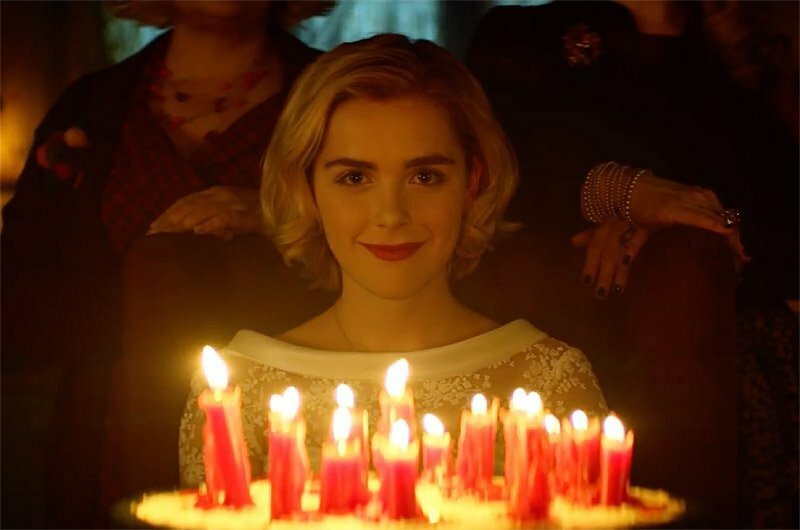 Netflix has released the first teaser trailer for the upcoming Chilling Adventures of Sabrina, featuring lots of Halloween-appropriate satanic imagery and a creepy slow rendition of Happy Birthday. Check out the Chilling Adventures of Sabrina teaser in the player below! Chilling Adventures of Sabrina is based on the comic book of the same name, which reimagines the origin and adventures of Sabrina the Teenage Witch as a dark coming-of-age story that traffics in horror, the occult and, of course, witchcraft. Tonally in the vein of Rosemary’s Baby and The Exorcist, this adaptation finds Sabrina wrestling to reconcile her dual nature — half-witch, half-mortal — while standing against the evil forces that threaten her, her family and the daylight world humans inhabit. 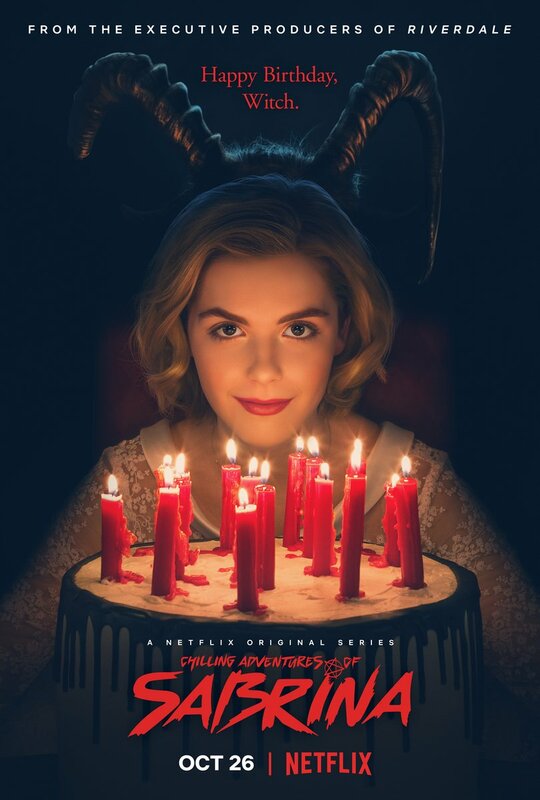 Kiernan Shipka stars as Sabrina in the new series and is joined by Lucy Davis (Wonder Woman) as Hilda Spellman, Miranda Otto (Annabelle: Creation) as Zelda Spellman, Chance Perdomo, Michelle Gomez (Doctor Who) as Mary Wardell, Chance Perdomo as Ambrose Spellman, Jaz Sinclair, Richard Coyle as Father Blackwood, Tati Gabrielle as Prudence, Ross Lynch as Harvey Kinkle and Bronson Pinchot in the cast. Aguirre-Sacasa is writing the adaptation (the comic book basis for which he also wrote) and will executive produce. Lee Toland Krieger will direct and executive produce with Aguirre-Sacasa, Greg Berlanti, Sarah Schechter, and Jon Goldwater. The series will premiere on Netflix on October 26.